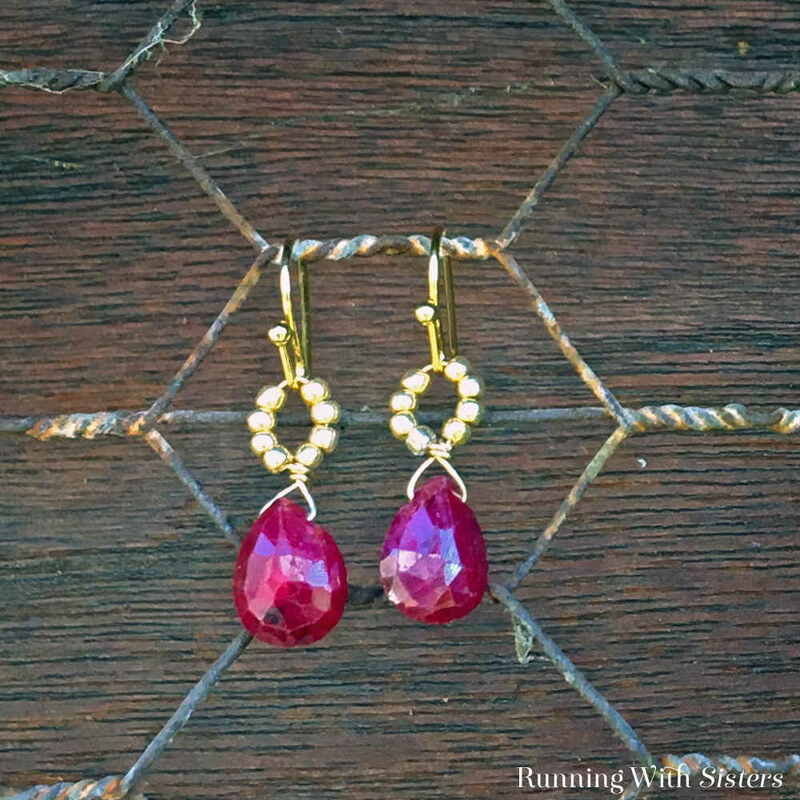 This stunning pair of beaded briolette drop earrings is so fast and easy to make, you won’t believe it! 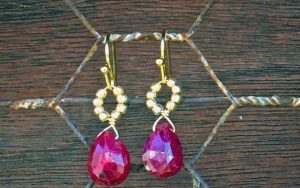 We’ll show you step by step how to create beaded briolette dangles out of thin gauge wire, seed beads, and gorgeous garnet gemstones. 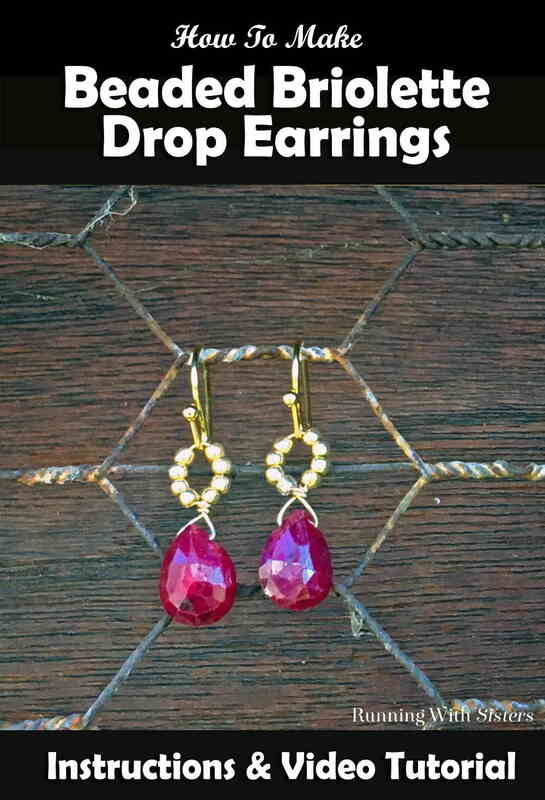 Here’s a video showing how to make these drop earrings. 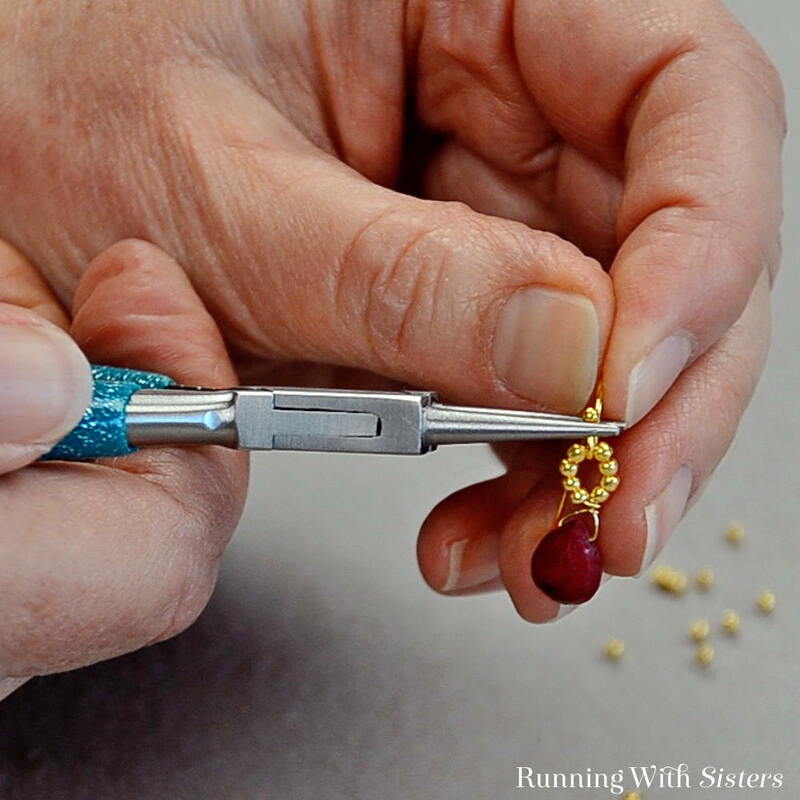 Follow along as we make the earrings, then follow the instructions below to make your own. 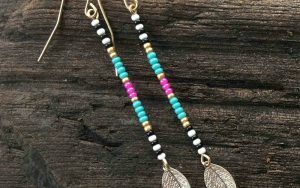 You’re going to love making these earrings! 1. 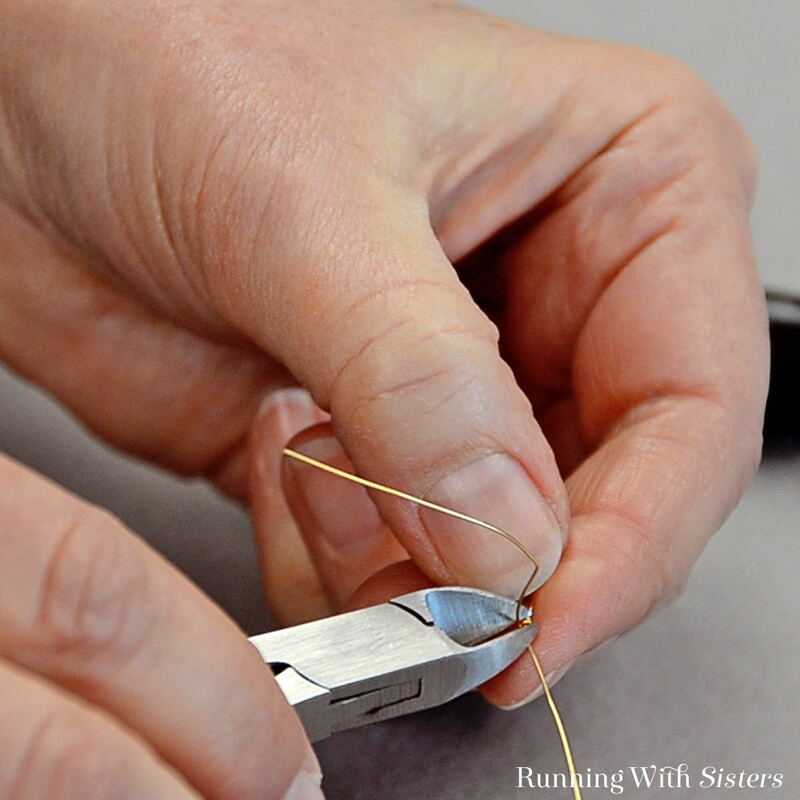 Start by cutting a piece of 26-gauge wire 3” to 3½” long. 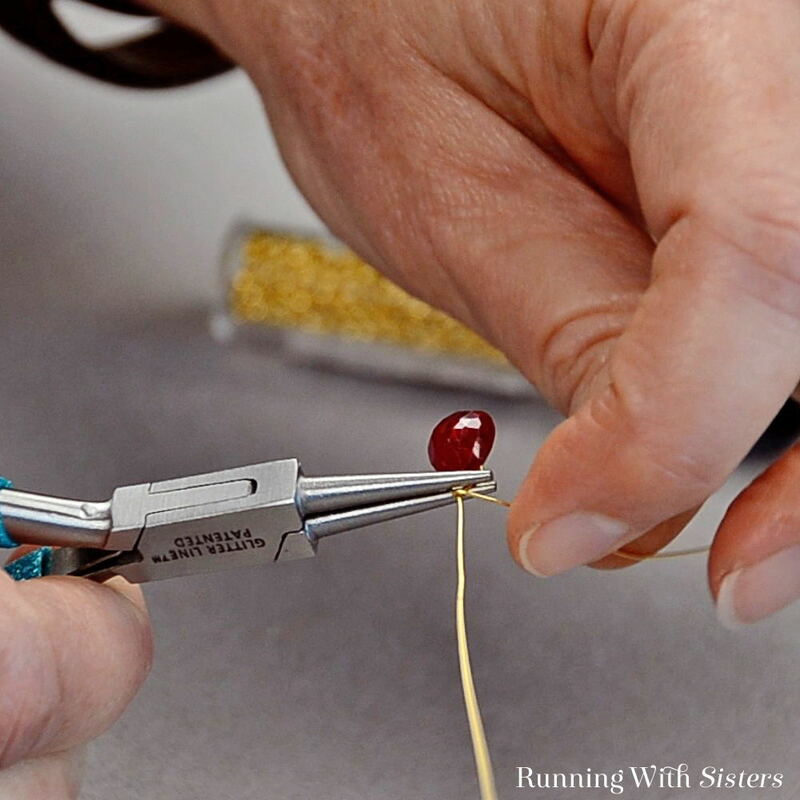 Feed the wire through a garnet briolette bead, sliding the bead to the center of the wire. 2. 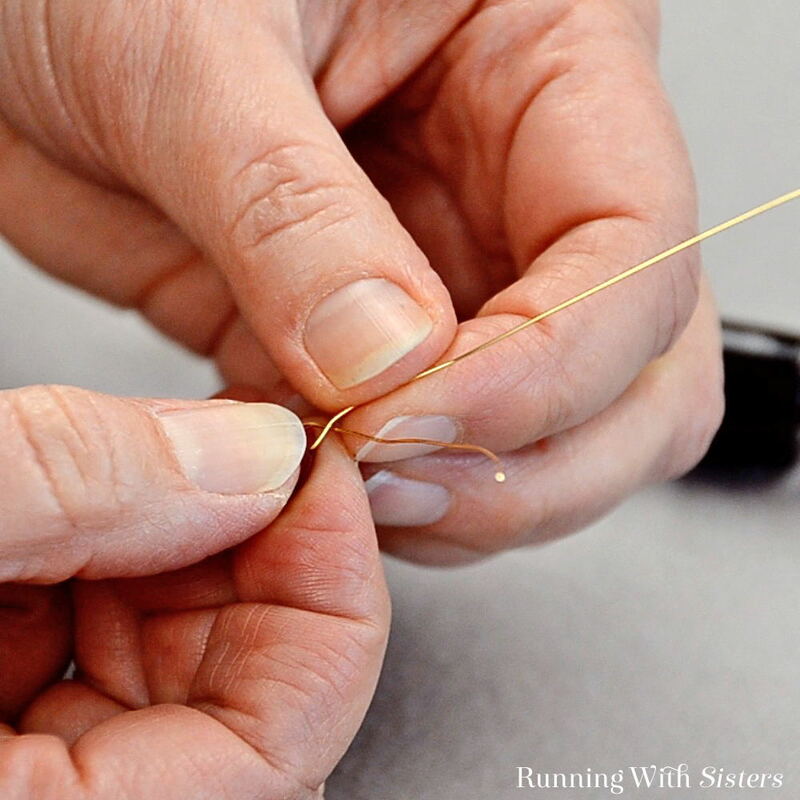 Make a crisscross in the wire by bending each side of the wire up and over the top of the briolette (the wires will follow the angle of the bead). 3. Bend one of the wires so it goes straight up from the center top of the briolette. 4. 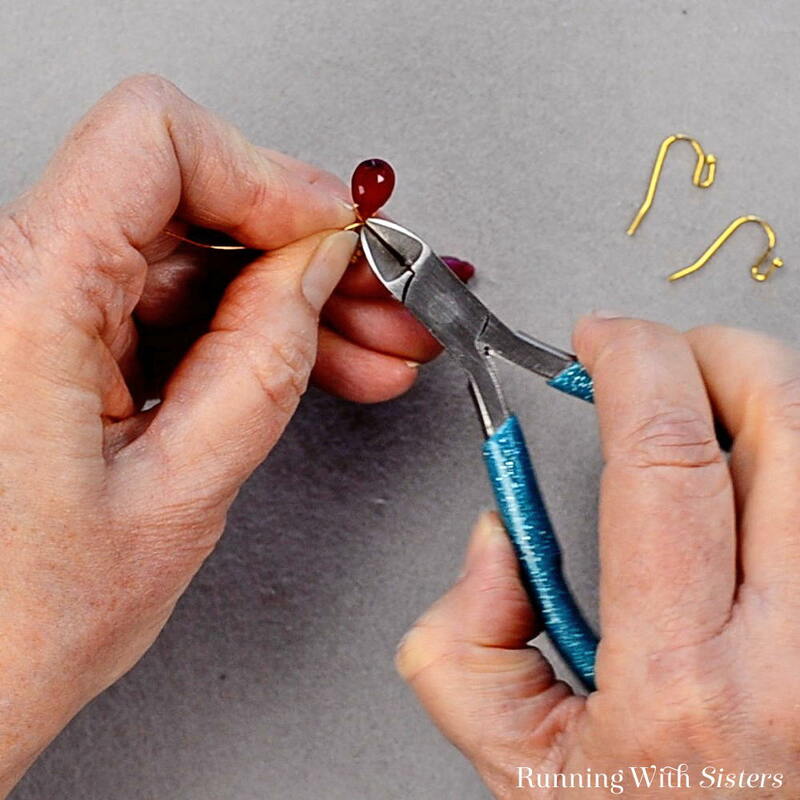 Using the round-nose pliers, grasp the wire where it crosses and pull the tail wire around the straight-up wire (or “neck”) 2 times. 5. Trim the end of the wire. If you end up with a little tail, press it down with the pliers. 6. 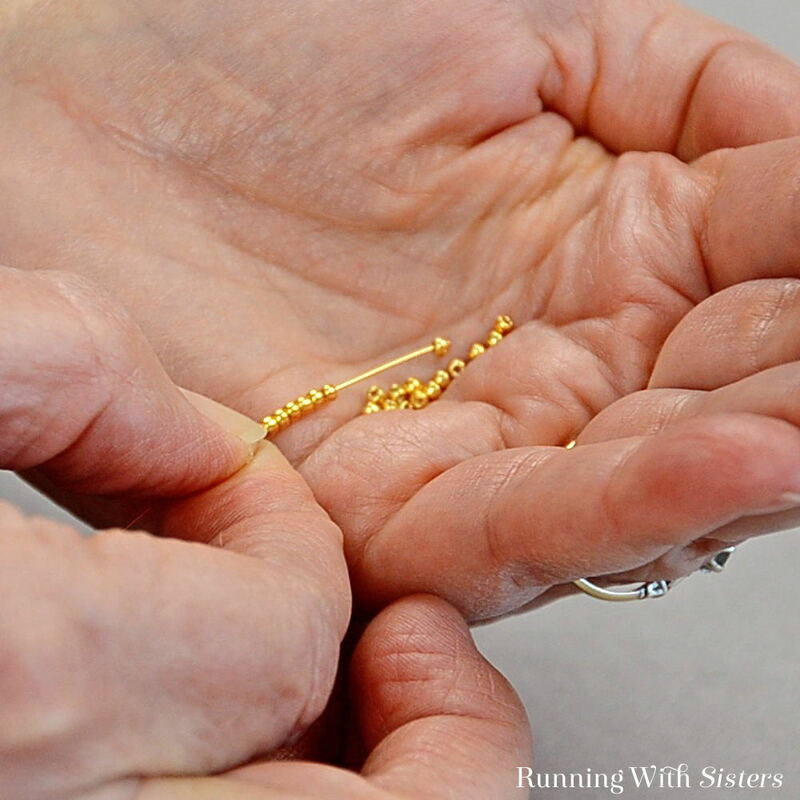 Feed 8 gold seed beads onto the straight wire. 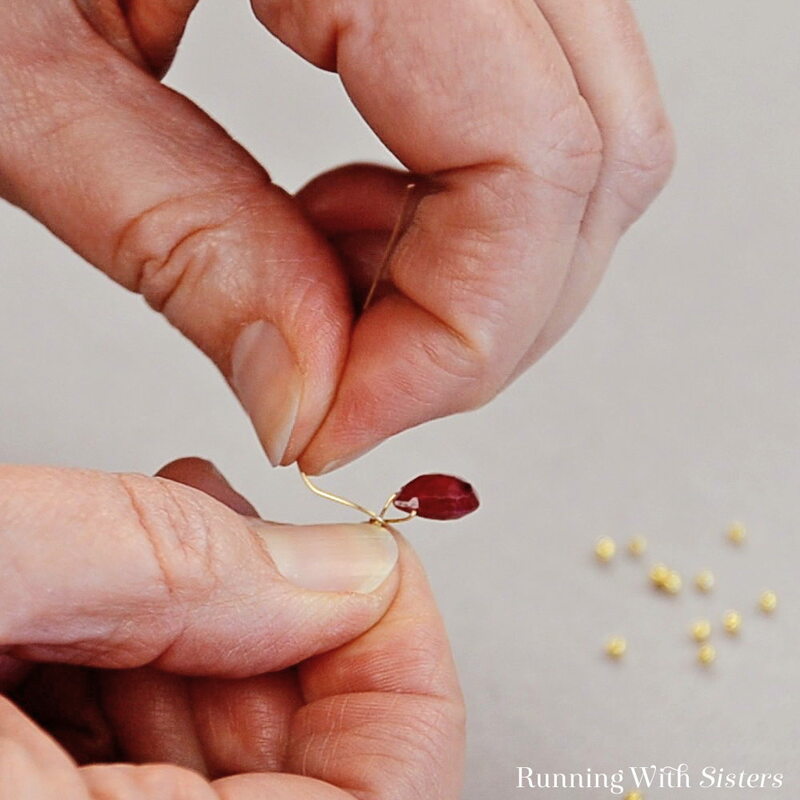 A little trick to make this go faster is to pour seed beads into the palm of your hand and tip them onto the wire. It also makes it easy to keep count. 7. 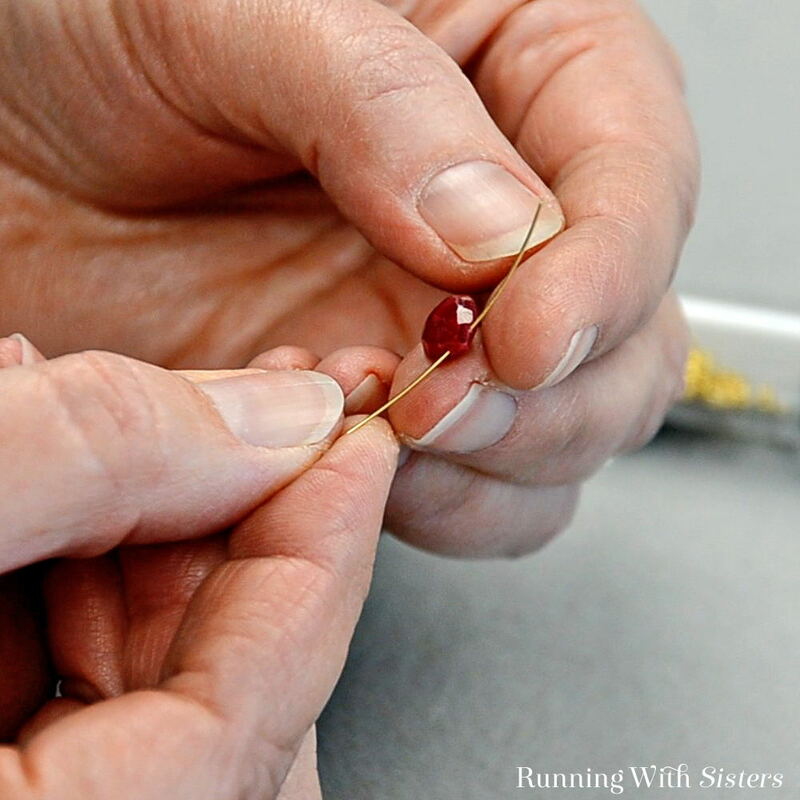 Bend the beaded section of the wire into a loop, pressing the beads toward the crisscrossed wire to remove any slack. 8. Wrap the wire around the crisscross at the top of the briolette 2 times. 9. 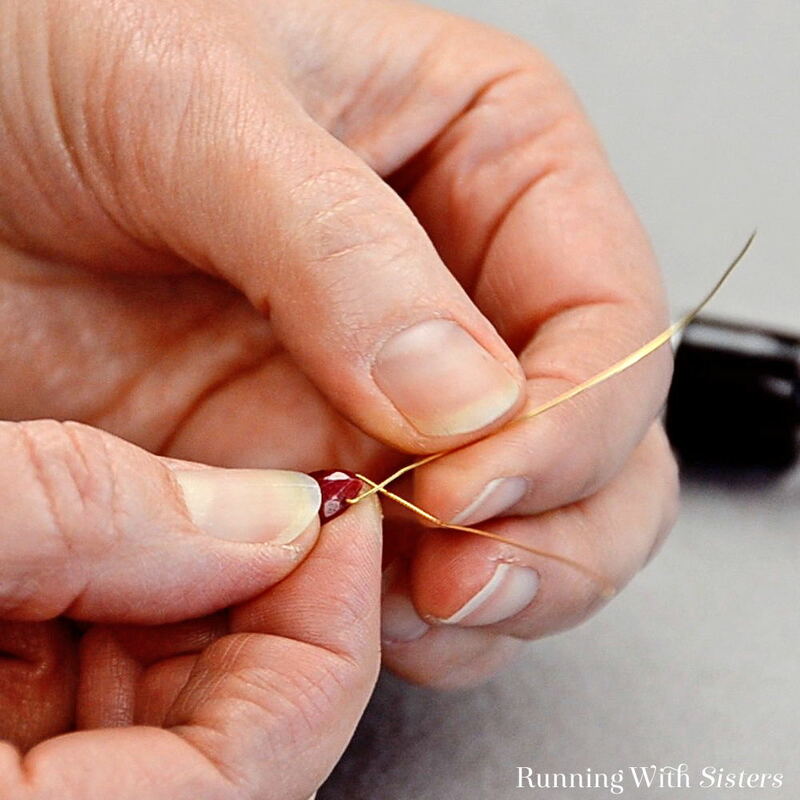 Trim the end of the wire close to the beads, but be careful not to cut through your work! 10. 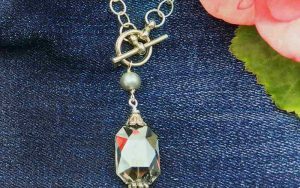 To make the beaded loop more round, use the round-nose pliers as a mandrel and slide one of the jaws into the center of the loop. 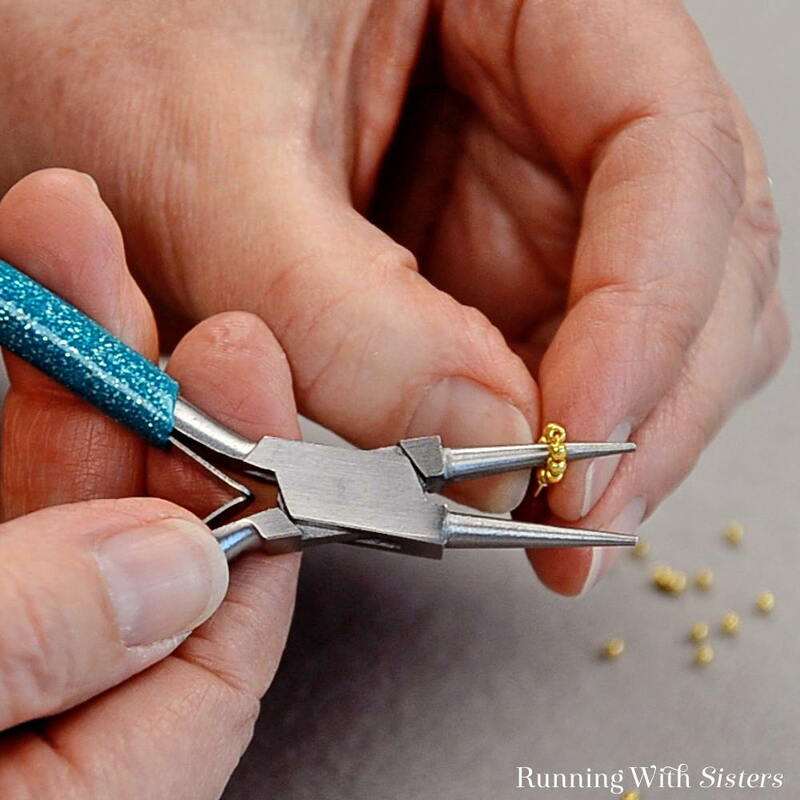 Push the beaded loop up the pliers to make a nice circle. 11. 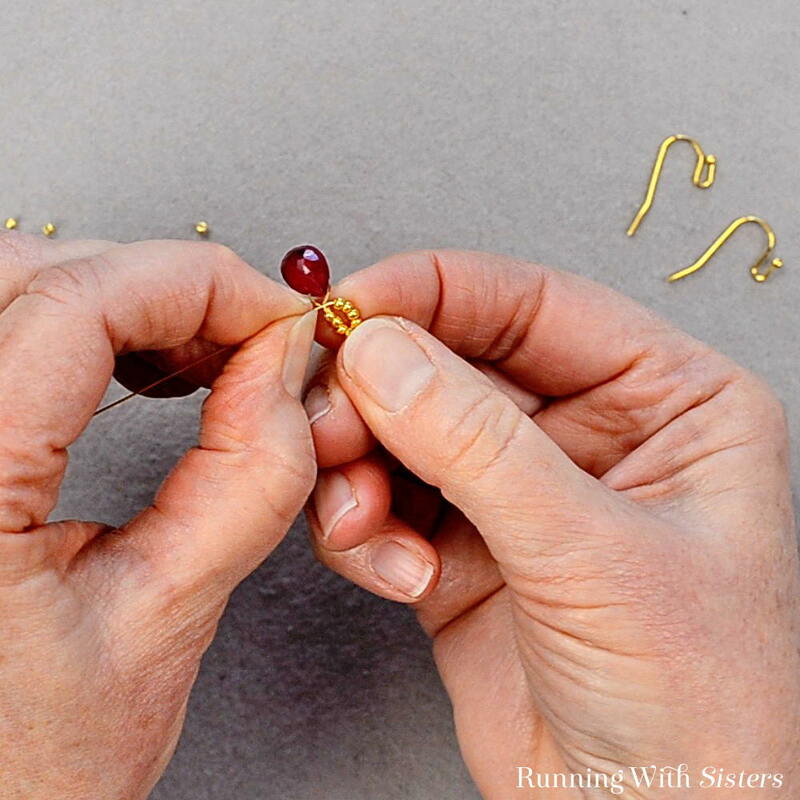 Slide the open loop of an earring wire into the center top of the beaded circle. Use the pliers to press the earring wire closed. 12. 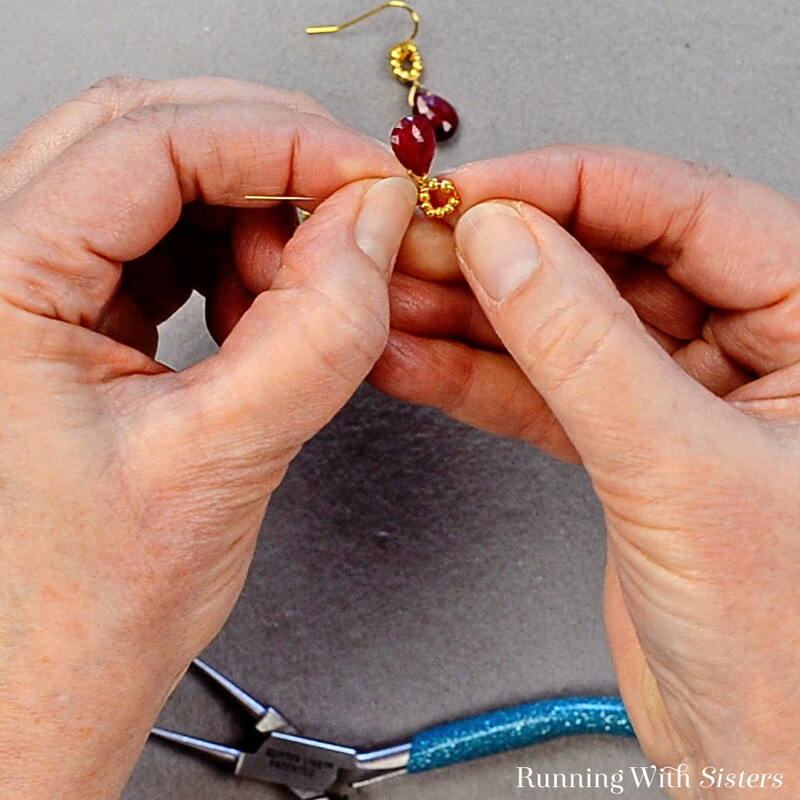 Repeat all of the steps above to make a second earring! Aren’t they pretty?! 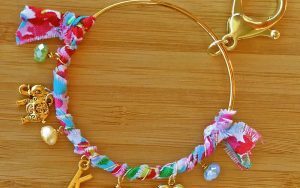 You can make them in any color story. 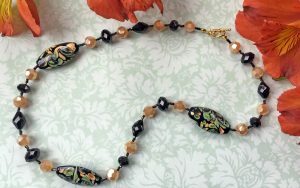 We think a black briolette would look sharp with gold seed beads. Let us know if you think you’ll make them. We love hearing from you! I love these and the briolette shape gem is a favorite. Is there a way to cover the top of the briolette so that the holes are covered? I’m thinking some sort of cap. I’m still at the planning stage to begin making jewelry. I have the tools and lots of supplies, and I’m just trying to get brave enough to actually begin. I love all of your projects and save the directions for each one.